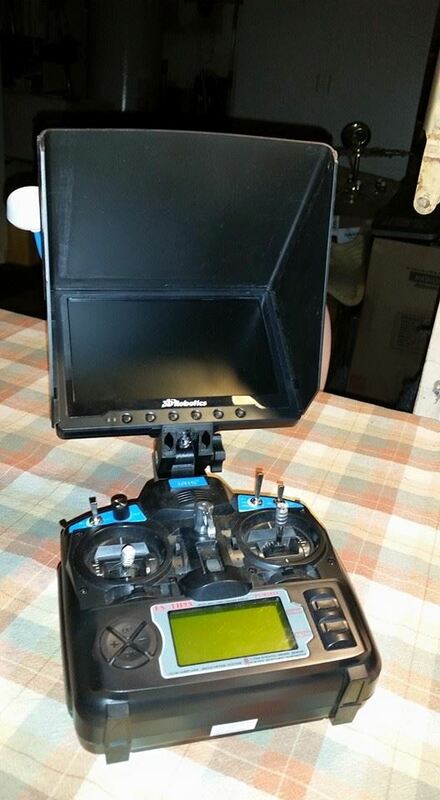 Deluxe LCD Mount.. for the Flysky-FS-TH9X Transmitter.. Just snaps on.. Extremely Strong.. 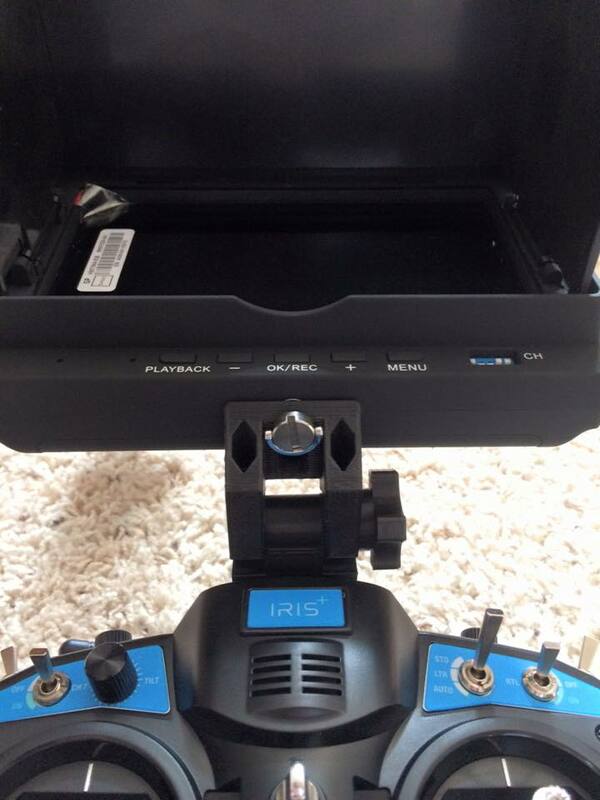 Tilt Adjustable.. Quick Release Secure Fit.. 1/4-20 Camera Screw Included.. Also fits Turnigy 9X and Original Style IRIS+ Radios..
Deluxe FPV LCD Mount.. for the Flysky-FS-TH9X Transmitter.. Just snaps on.. Extremely Strong.. 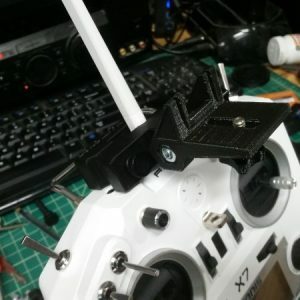 Tilt Adjustable.. Quick Release Secure Fit.. 1/4-20 Camera Screw Included..
Also fits Turnigy 9X and Original Style IRIS+ Radios.. 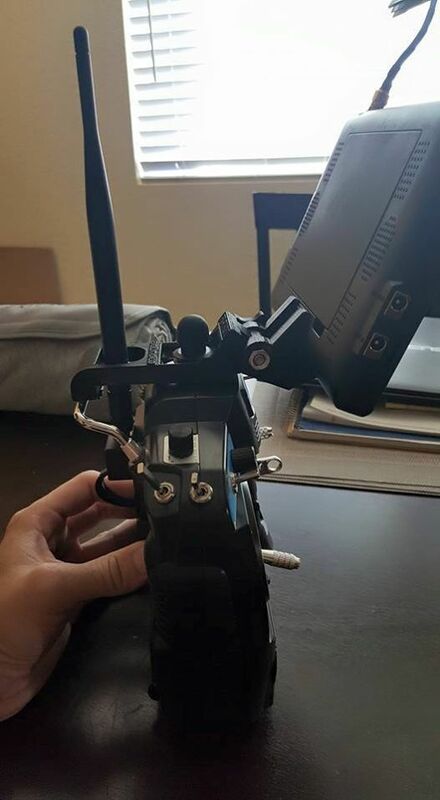 Pretty cool mount for that monitor or tablet. 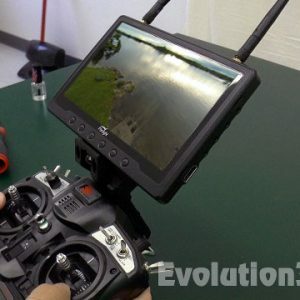 Just received my deluxe lcd mount from Evolution3D. Very nice and fast shipping. Happy w the Deluxe Evolution3D monitor holder & phone holder (Note4) instead of taking off the metal crappy stock liveview holder the phone holder screws right into it well. 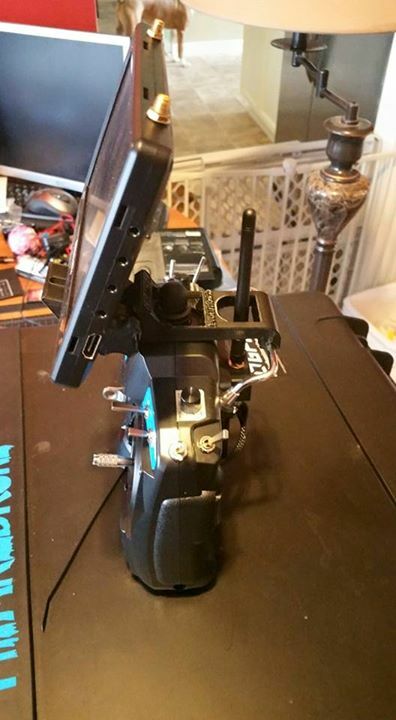 The phone weighs alot less so its better on the metal rig(also used lock tight for screws so it don’t come loose) Great for that tower/DP goundstation right all together with monitor on my controller. 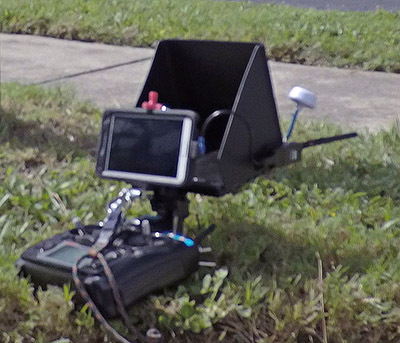 I like it as compact solution.. also can just glance at either screen with quick tilt (usually don’t need to watch the phone as audio alerts in DP are enough) phone does NOT block my view when i have it hung around neck & got velcro on side of monitor sunshade for usb telemetry radio antenna. 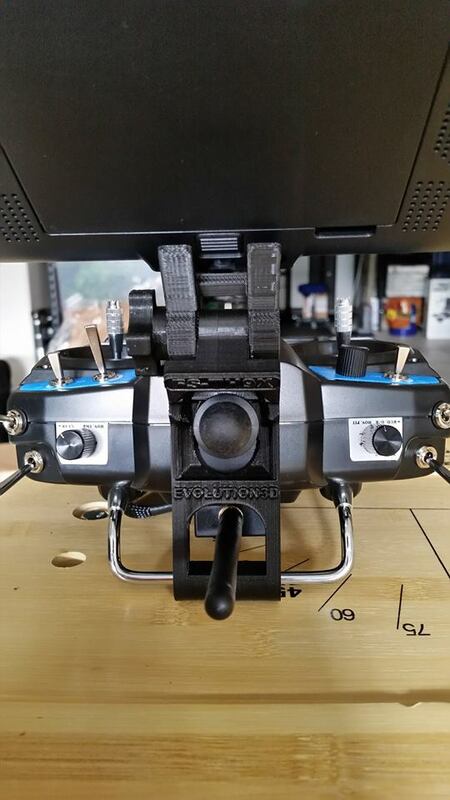 Just got my Evolution3D dis-connectable monitor mount and have to say I am very pleased. Feels very sturdy, good construction, easy to adjust and disassemble, and still fits in my case. 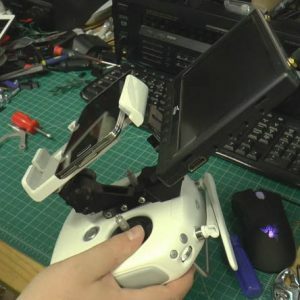 The mount that comes with the live view kit is total garbage, bye bye. 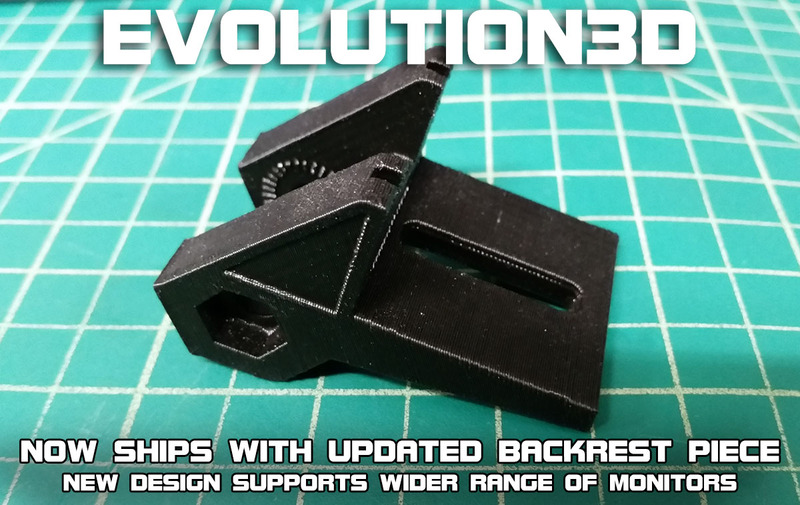 Just got my monitor mount from evolution3d.. Perfect on IRIS Radio !